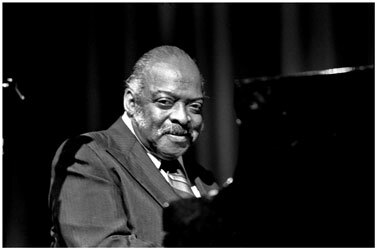 William James Basie, byname Count Basie, (born August 21, 1904, Red Bank, New Jersey, U.S. – died April 26, 1984, Hollywood, Florida), a famous American jazz pianist, organist and composer. He is considered one of the greatest bandleaders of all times. Basie was a true innovator leading the great jazz band for almost 50 years, he left the world an almost unparalleled legacy of musical greatness having recorded over 480 albums during his lifetime. William James Basie was born in Red Bank, New Jersey, U.S. His father, Harvey Lee Basie, was a coachman and a groundskeeper, and his mother, Lillian Childs Basie, was a laundress. Both of his parents had some type of musical background. His father played the mellophone, and his mother played the piano. The family had a piano and William’s mother gave her son his first lessons, she was his first music teacher, later she paid 25 cents for his piano lessons. He had an incredible ear, and could repeat any tune he heard. Studying at school, Basie dreamed of travelling, he was inspired by the carnivals which came to town. When Basie was a teenager he chose the profession of a musician. Although William was skilled with the piano he preferred the drums and he even dreamed of becoming a drummer. Discouraged by the obvious talents of Sonny Greer, who also lived in Red Bank and became Duke Ellington’s drummer in 1919, Basie at age 15 went back to the piano. The musicians played together in venues until Greer set out on his professional career. By then, Basie performed in local ensembles and accompanied vaudeville performers. He quickly made a name for himself playing the piano at local venues and parties around town until he moved to New York City in search of greater opportunities. In 1924 in New York Basie was befriended by two of the greatest stride piano players of the day, Fats Waller (Basie learned from him a lot) and James P. Johnson. Basie himself became a fine stride pianist, as well as a proficient organist, learning that instrument while observing Waller’s performances at the Lincoln Theater in Harlem. Basie left New York in the mid-1920s to work as a touring musician for bands led by June Clark and Elmer Snowden, and as accompanist to variety acts such as those led by Kate Crippen and Gonzelle White. When White’s group broke up in Kansas City in 1927, Basie found himself stranded. It was here that he was introduced to the big-band sound when he joined Walter Page’s Blue Devils in 1928. The next year he joined Bennie Moten’s band in Kansas City. 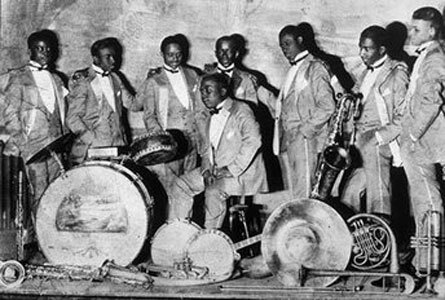 After Moten’s death in 1935, Basie worked as a soloist before leading a band initially called the Barons of Rhythm, a nine-piece band consisted of many former members of the Moten band – Walter Page (bass), Freddie Green (guitar), Jo Jones (drums), Lester Young (tenor saxophone) and Jimmy Rushing (vocals). The Barons of Rhythm were regulars at the Reno Club in Kansas City and often performed for a live radio broadcast. William Basie became a “Count” during a radio broadcast of the band’s performance, the announcer wanted to give Basie’s name some pizazz, keeping in mind the existence of other bandleaders like Duke Ellington and Earl Hines. So he called the pianist “Count,” with Basie not realizing just how much the name would catch on as a form of recognition and respect in the music world. Famed record producer and journalist, John Hammond, heard the band on a 1935 radio broadcast from the Reno Club, and the next year brought the band to New York City. During this time the Basie band became one of the country’s best-known swing bands. In 1937 Basie took his group, Count Basie and his Barons of Rhythm, to New York to record their first album with Decca Records under their new name, The Count Basie Orchestra. The band’s recordings from this time represent the best of the hard-driving, riff-based Kansas City style of big-band swing. 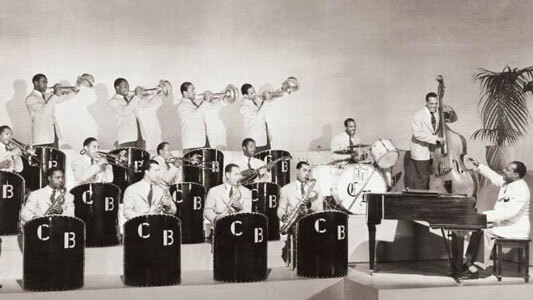 The Count Basie Orchestra had a slew of hits that helped to define the big-band sound of the 1930s and ’40s. Memorable recordings from this period include Good Morning Blues (1937), One O’Clock Jump (1937), Sent for You Yesterday (1937), Swinging the Blues (1938), Every Tub (1938), and Taxi War Dance (1939). In 1941 the Basie band recorded King Joe, a tribute to boxer Joe Louis, which had lyrics by Richard Wright and vocals by Paul Robeson. Some of their notable chart toppers included Jumpin’ at the Woodside, April in Paris, and Basie’s own composition, One O’Clock Jump, which became the orchestra’s signature piece. In 1943 the band appeared in five films: Hit Parade, Reveille with Beverly, Stage Door Canteen, Top Man, and Crazy House. He also scored a series of Top Ten hits on the pop and R&B charts, including I Didn’t Know About You, Red Bank Blues, Rusty Dusty Blues, Jimmy’s Blues, and Blue Skies. 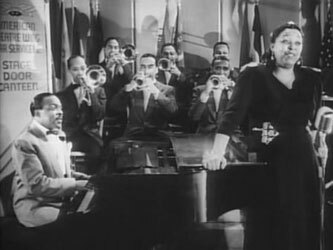 Count Basie Orchestra had continued success throughout the war years, but, like all big bands, it had declined in popularity by the end of the 1940s. The loss of key personnel (some to the military service), the wartime ban on recordings, the 1943 musicians’ strike, the economic infeasibility of one-nighters, and the bebop revolution of the mid-1940s all played a role in the death of the big band era. In 1950 Basie disbanded the group, opting to lead smaller units for the next couple of years. However, in 1952, he resurrected the Count Basie Orchestra and this new band was in high demand and embarked on a tour around the world (this became known as the New Testament Band, while the first Orchestra was the Old Testament Band). 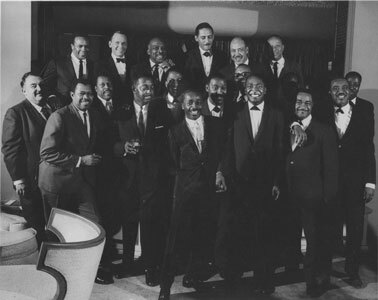 In 1957, the Count Basie Orchestra became the first African American band to play the Waldorf-Astoria in New York City. They played command performances for kings, queens and presidents, and issued a large number of recordings both under Basie’s name and as the backing band for various singers. During the 1960s and ’70s, Basie recorded with luminaries like Ella Fitzgerald, Frank Sinatra, Sammy Davis Jr., Jackie Wilson, Dizzy Gillespie and Oscar Peterson. Basie ultimately earned nine Grammy Awards over the course of his career, but he made history when he won his first, in 1958, as the first African-American man to receive a Grammy. A few of his songs were inducted into the Grammy Hall of Fame as well, including April in Paris and Everyday I Have the Blues. Basie’s health gradually deteriorated during the last eight years of his life. In 1976, he suffered a heart attack, but returned to the bandstand half a year later. During his last years he had difficulty walking and he was driving an electric wheel chair onto the stage. His home for many years was in Freeport, in the Bahamas. 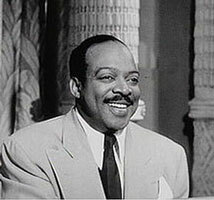 Count Basie died of cancer at Doctors’ Hospital in Hollywood, Florida, on April 26, 1984.